Welcome back to Hot Sauce, my trend spotting series where I share current decor fads that I’m seeing in the design world. Today I’m doing a deep dive into one of my favorite new trends - chains and links in decor. I recently bought the wooden chain above from All Modern and LOVE it. Side bar - I love how affordable so many accent decor pieces are at All Modern. Do you ever notice something and then you can’t stop seeing it? That happened to me with this trend. I started seeing them pop up last year and now I see them everywhere. 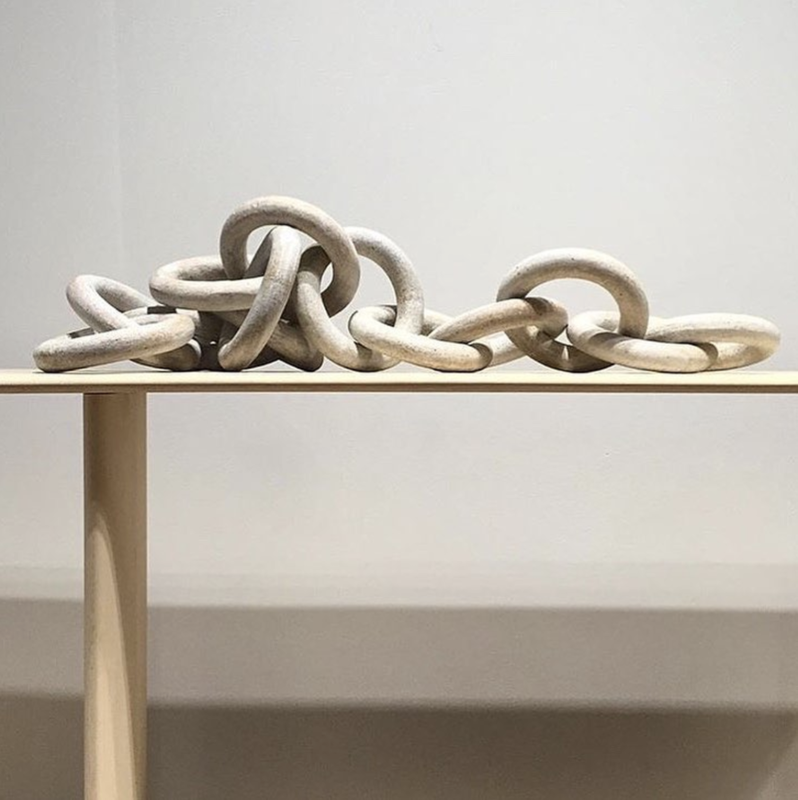 Here are lots of inspiration photos from Instagram of chains in decor. As always, Instagram is my favorite source of inspiration and these photos are pulled directly from my mood boards. As always, I scour the internet so that you don’t have to! Here are picks for decorative chains and links available now. I own and love #3 and #4 and the rest are my other favorites. I own this ceramic chain below from McGee & Co. and love it! I love styling chains on coffee tables, side boards, and shelves. What do you think of this trend? Love it? Hate it? Let me know in the comments!